The conceptual schematic of what our test lab domain will look like. Established the specifications for each of the virtual machines that we would be using in the Lab. 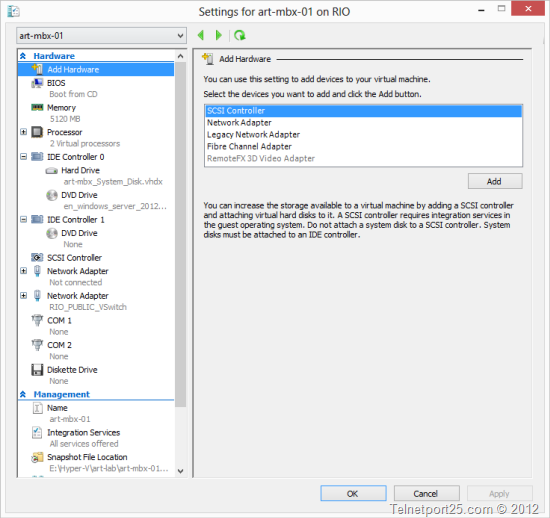 How to provision the Domain Controller for the LAB in on Hyper-V server on Windows Server 2012. Built the Windows Server 2012 O/S for the domain controller. Installed Active Directory on the Domain Controller using a Powershell Script. Installed Active Directory Certificate Services on the domain controller. In this the fourth part of the Series I will take you through the provisioning of your Exchange Servers in Hyper-V, summarising the install of Windows Server 2012 Data Centre (as we have covered the step by step install of Windows 2012 in the first part), and finally installing the prerequisites for Exchange 2013 on Windows Servers 2012. In part one of the series I took you through manually using the Hyper-V manager to provision the domain controller. 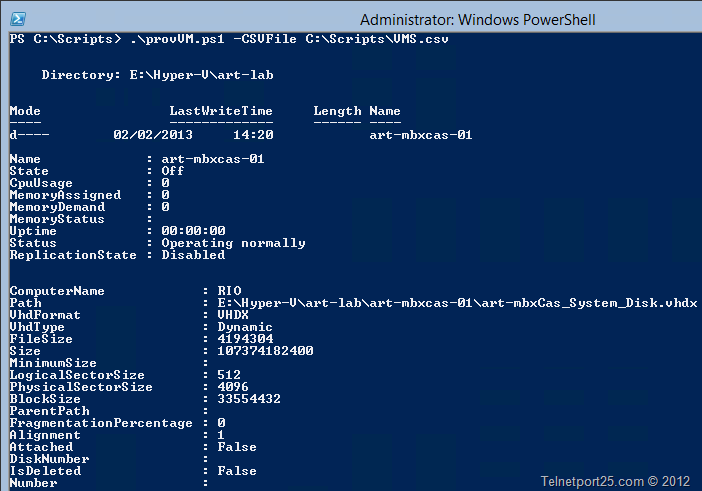 In this part I would like to show you how you can use the Hyper-V module in Powershell to query settings in a CSV file and create your Virtual Machines using a very simple PowerShell script. The following is the simple script that I have written which takes input from a CSV file (more details on this later) and creates the Virtual Machines as per the configuration data from the source file. VMName – Name of the Virtual Machine. VMPath – Physical path on your Server where the Virtual Machine configuration will live. VHDPathName – Physical path and file name of the primary system disk for your VM. VHDSize – Size of the system disk, this is represented in Bytes – therefore 100GB is 107374182400 bytes. ProcessorCount – The number of vCPU’s assigned to the Virtual Machine. VMMemory – The amount of RAM assigned to the Virtual Machine – this is in Bytes, therefore 5GB is 5368709120 in bytes. VSwitch – The name of the VSwitch that you wish the primary interface to use – in my lab this is called RIO_PUBLIC_VSWITCH. 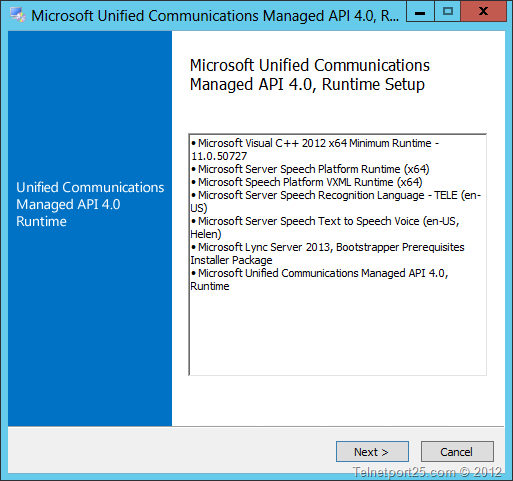 OSISOPath – The path on your Server to the Windows 2012 installation ISO. You can download a copy of the script above, and a sample CSV file for reference from the links below. The script will then go away and provision your machines. If you check the properties of any one of the VMs you will see that they have been configured as per the settings in the CSV file. You are now in a position to Power the VM’s on and being the process of installing Windows Server 2012 Data Centre. In the first part of this series; I did a detailed overview of installing Windows Server 2012 – therefore I will not be covering that again. 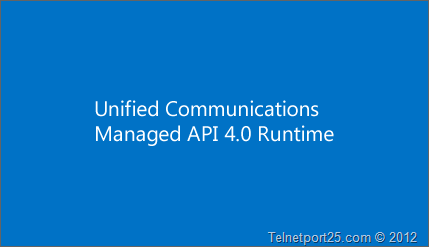 Where you should pick the configuration up again in this post is after you have renamed the computer, configured the relevant IP settings and joined the machine to the art-test domain and installed relevant Windows Updates.. The first machine that we will build will be art-mbxcas-01 – which will be our first Mailbox / CAS and HT server. What I will cover here is installing both the Operating System Pre-Requisites and supporting components required for a successful installation of Exchange 2013 on Windows Server 2012. Within the Powershell command window. In order to successfully install Exchange Server on the VM – you will need to install some supporting software which is required in order for it to function correctly. You will then need to install them. 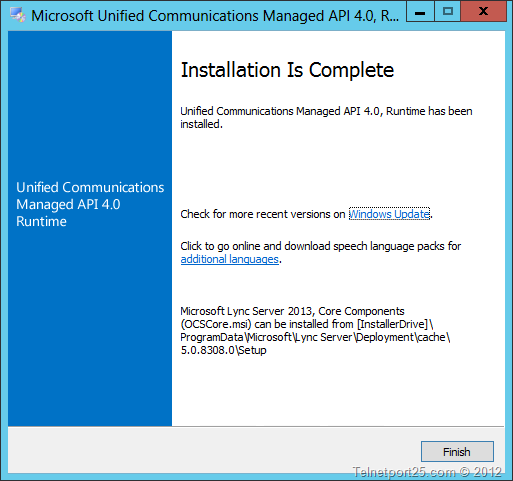 Double click on the Setup installer for the MUCM API which will begin by showing you the following introduction screen. You will then be presented with the following welcome screen which explains the actions that the installer intends to perform on your server. When you are ready click on the “Next” button. 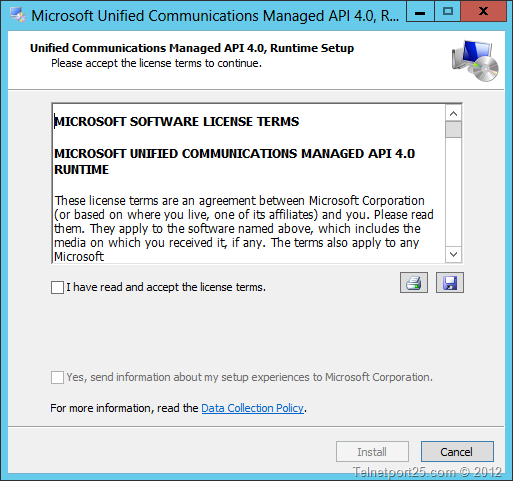 Accept the licensing agreement by checking the “I have read and accept the license terms” then click on the “Install” button. The setup process will then install the required components on your server. Set will then complete – click on the “Finish” button. 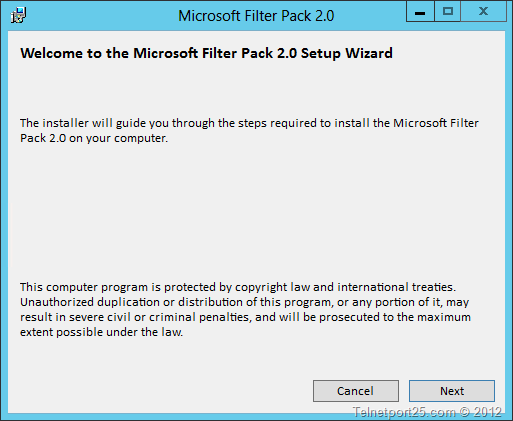 Double click on the Microsoft Office Filter pack installer – you will be presented with the following welcome screen, when you are ready click on the “Next” button. 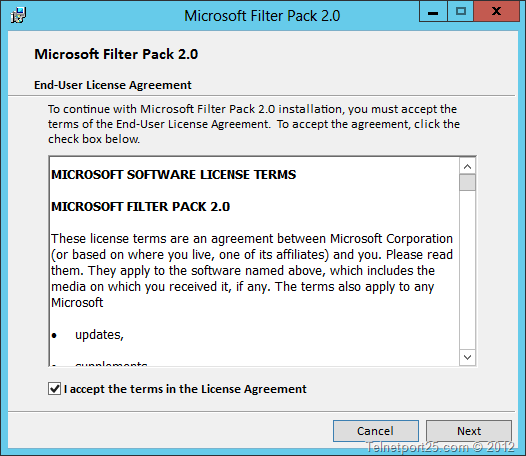 Accept the licensing agreement by checking the “I accept the terms in the licensing agreement” check box. When you are done click on the “Next” button. The setup process will then install the required files on your Exchange Server. When setup is completed – you will be presented with the following dialog box – click on the “OK” button to finish. 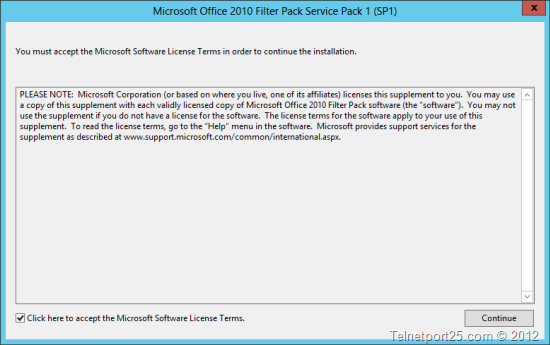 You will then need to install Service Pack 1 for the Microsoft Office filter pack. 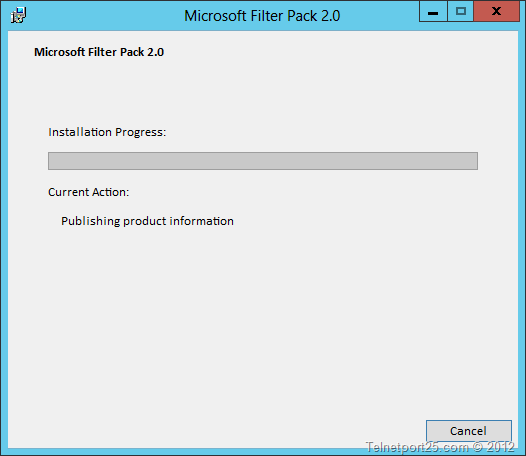 Double click on the Service Pack 1 setup file. You will then be presented with the introduction screen – click on the “Continue” button when ready. 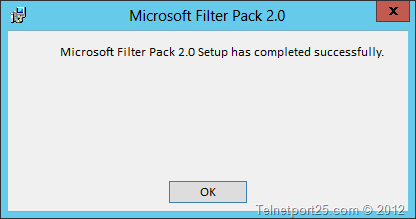 Setup of Service Pack 1 for the Office 2.0 filter packs is very quick – when it has been completed you will be presented with the following dialog box – click on the “OK” button when setup has completed. Preparing the Active Directory Schema and Domain. 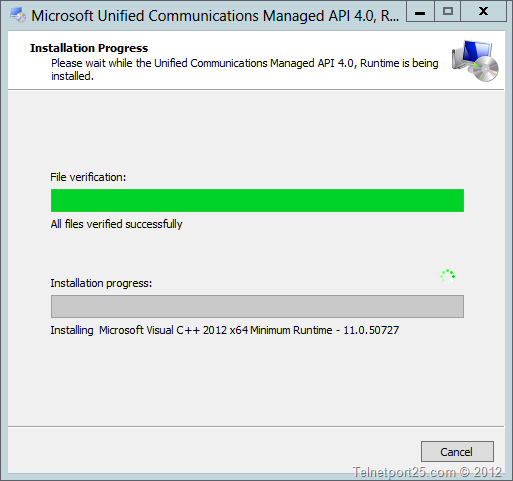 Installing Exchange 2013 on your provisioned Virtual Machines.